Returning from their holiday in New York Nick and Nora Charles return home to San Francisco with their lovable dog Asta in tow. Everyone has heard about the famous ‘Thin Man’ case and reporters would love another headline making story from the smooth sleuthing couple. However, the Charles’ have other plans. They just want to kick back, relax and stir some drinks. All they have to do is get through a New Year’s Eve gathering at Nora’s stuck up, wealthy family’s place. Arriving they learn that Nora’s cousin Selma (Elissa Landi) is panicked over her missing husband Robert (Alan Marshal) who she hasn’t heard from in three days. Her friend David Graham (James Stewart) can’t console her and reluctantly Nick gets pushed into investigating it by the more gung-ho Nora. It doesn’t take long before the Charles’ find themselves once again thrust deep into a mystery involving blackmail, disappearances and murder! Before 1930’s audiences were familiar with the term, a popular ‘franchise’ of movies had just begun with this second installment. 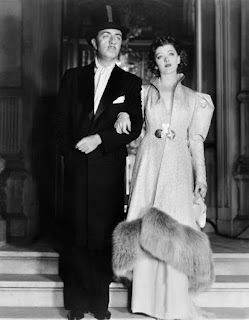 After the wildly popular The Thin Man in 1934 the return of Nick and Nora Charles once again drew audiences to theaters, it became an extremely successful hit and proved that audiences loved watching Powell and Loy in these roles. Director W.S. Van Dyke returns for this second film and once again it’s based on a story by the Charles’ creator Dashiell Hammet. 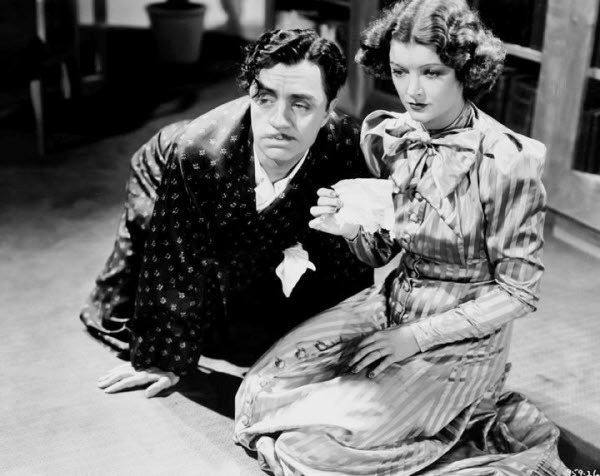 After The Thin Man adheres to all the ingredients of what hit in the original installment. We get a mystery, a slew of suspects, fancy clothes, the mixing of drinks, constant comedic bantering and one-liners being tossed between our leads, plus adorable cutaways to their cute dog. And once again it all works beautifully. 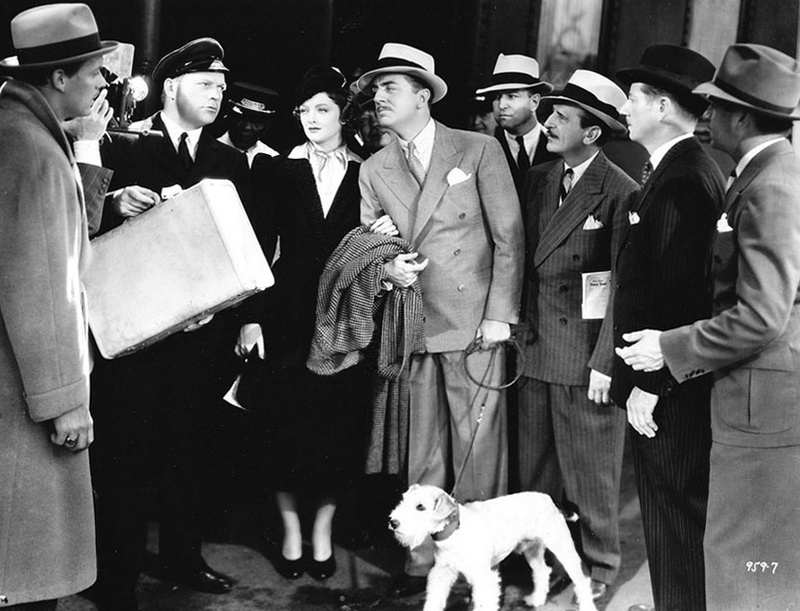 While the mystery is well done and there are plenty of twists and turns in the investigation, along with some fine supporting characters and performances, it’s Powell and Loy who hold center stage and where all the fun lays. Whether they’re walking into a surprise party, celebrating New Years Eve or searching for clues they sparkle with wit and banter. There’s more humor this time around. From the start in their train berth to Nick enduring a drab evening with Nora’s relatives to Asta having his own family squabble, there’s a lot of comedy to balance out the mystery at the center of the movie. Powell is able to play the relaxed, wise-cracking, seemingly indifferent, cunning Nick so well. It’s no wonder this became his most famous role. As in the first movie there’s the big scene of all the suspects in one room and Nick explaining how he solved it all building up to the big finger pointing moment to the true culprit. I knew going in who was the killer, but it’s all executed in such a stylish way it doesn’t matter. That’s the true testament to a mystery movie – even if you know what happened and it’s still an entertaining enough to watch it again then they did something right. Meanwhile, Loy is cute as a button and equally fun as Nora. She keeps up with Powell’s one-liners and gets her own opportunities to shine. There’s something entertaining when you see Loy in an evening dress one minute, then in the next scene scrambling chasing Asta around then attending a wrestling match and being insulted about her new hat. She handles all the situations she’s thrust in to with elegant flair and she never feels artificial. There are plenty of Thin Man fans who consider this followup superior to the original film and I think there’s some valid arguments to it. Although, I can’t remember ever seeing this listed on any ‘Great Sequel Lists’. But I don’t think many younger movie fans have much interest in movies made in the 1930s. There’s that unfortunate impression they’re too slow, stiff and plus in black and white! Oh the horror! It’s too bad, they’re really missing out. The trailer – it’s funny how they really promote the fact how this film picks up right where The Thin Man ended and that it is a sequel. It must have been one of the first sequels from Hollywood. I'd heard many thing about The Thin Man. I want to see this movie. Good review. I aways love how the killer in these movies can always feign innocence until the last moment where they become deranged maniacs.